With Hertha Berlin the only side to win every home game so far this season, James 'The Coach' Thorogood is banking on them for his fantasy points this week. Is anyone else still reeling from what went down on Matchday 11? The Bundesliga title race is wide open and, much like the Official Fantasy Bundesliga experts’ league, there is still all to play for with the winter break fast approaching. With that in mind, I’m hoping that Matchday 12 can provide just as many twists and turns. 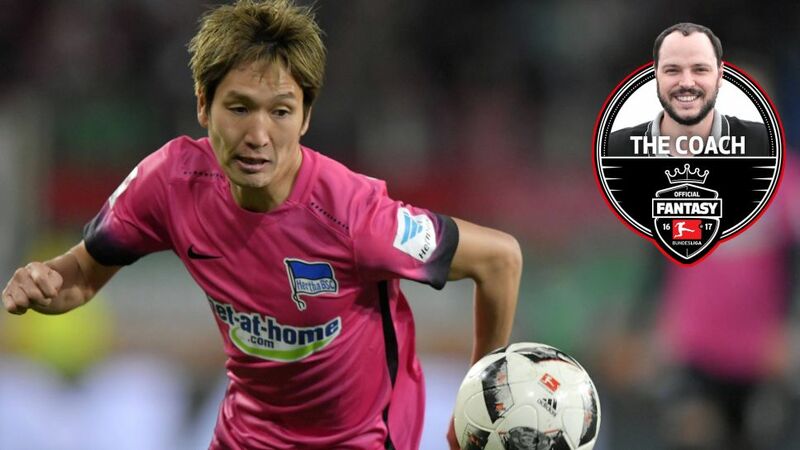 To help you navigate the minefield that are your Official Fantasy Bundesliga selections, here are three fixtures that will allow you to capitalise on the ability to rotate throughout the Matchday and, hopefully, rack up an impressive points tally. Only league leaders RB Leipzig have been able to take points off of Köln at the RheinEnergieStadion this season and, on the back of the Rheinderby win over Gladbach, the Billy Goats are going to be full of confidence. Augsburg are unbeaten in their last two outings and gave a good account of themselves in holding Hertha to a 0-0 draw. In an interesting clash of playing styles though, my gut says that Köln’s direct approach will triumph. Schalke are six games unbeaten after picking up 14 points from a possible 18 in recent weeks, despite having to cope with a host of injury issues. Darmstadt managed to hold the Royal Blues to a 1-1 draw at the VELTINS Arena last season, but the Lilies haven’t earned a and are averaging just under three goals conceded per game on foreign soil. Schalke are odds on to go a seventh game without defeat. The only side yet to drop a point on home soil, Hertha Berlin are part of an eclectic group of teams in the chasing pack near the top of the table. Pal Dardai’s charges' level of discipline and organisation is astounding, as proved by the fact they’ve conceded just twice at the Olympiastadion. Mainz are capable of posing a threat, but aren’t as prolific on their travels and have conceded six times in their most recent away fixtures, against Leipzig and Schalke. Just five rounds of fixtures remain before the winter break so it’s crucial to hoard as many points as you can during the hibernation months. Keep tinkering and good luck!